If you are a facebook fan we are also there, and can be found at www.facebook.com/caketops the page is regularly updated with bits and bobs about cake toppers or other peoples work that I think is definitely worth sharing. I was really pleased to find out that cake toppers was listed in the top 100 wedding suppliers list, so just wanted to say a big thank you for the mention. Facebook is a great place to find wedding ideas and inspiration and once you start clicking through suppliers there is an endless supply of photos and information. Not sure what to get for a loved one for Christmas, how about a topper! 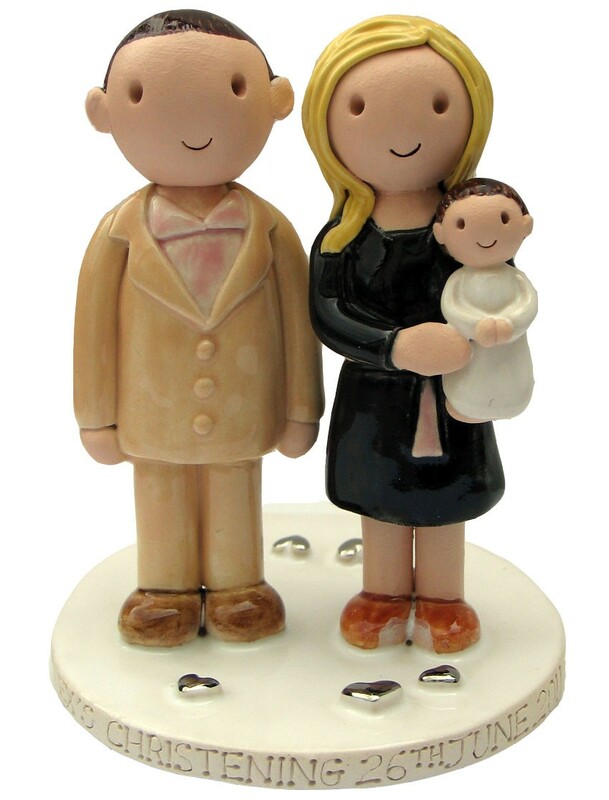 What a lovely way to capture a moment in time of your family with a little ceramic ornament of you all. It can be made for Christmas so you are all in Santa suits, or in your favourite jeans and t-shirt whatever you want. How about one of the kids for the Grandparents? The mini toppers are a perfect way to solve a present problem! As well as the Atop of the tier cake toppers, I also make mini toppers, which can be found over at www.cake-toppers.co.uk a smaller more simple version of these, but made in a similar style. 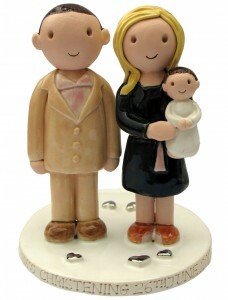 “We provide personalised cake toppers for Weddings, Civil Partnerships, Christenings, Birthdays or any other occasion. 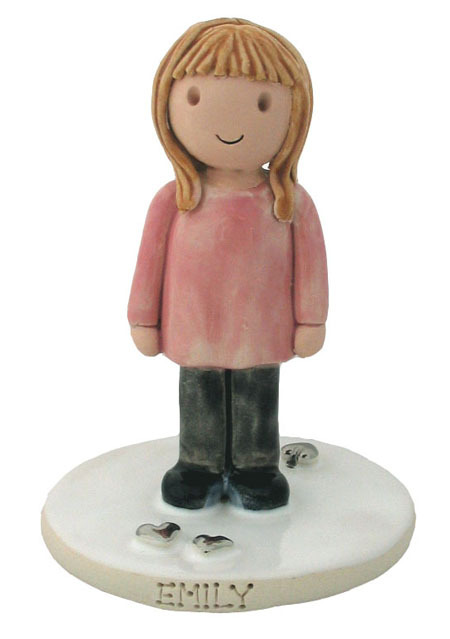 Our cake toppers are hand crafted from kiln fired earthenware clay, and are personalised to match your clothes, hair, skin colour and other features unique to you. The topper pictured was made for a Christening. The couple had already had an Atop of the tier topper made for their wedding a few years ago, and wanted to add to the collection of special occasion toppers. A lovely way to remember a special day. For more information about the toppers pop over to www.cake-toppers.co.uk for lots of photos of toppers, and toppers on cakes.